Coming February, we see it everywhere — this is definitely the season for romance. But here at Perch & Parrow, we are all about enjoying and embracing the spirit of Valentine’s Day all year around. On this week’s Le Journal, we tell you how. Everyone loves a treat, a special date or even a humble meal that has been tweaked a little bit to make us feel special. But wouldn’t it be great if we could transfer that romantic inspiration to our every day? Injecting a romantic feel in your interior is easy if you know how — it’s all about pairing the right furniture and décor to make it enjoyable. Regardless its utilitarian ethos, furniture is part of the scenario where memories and cherished moments happen. Think about that comfy sofa that welcomes you home or the plump cushion where your head dreams away. And more than anything, the silky throw that a special someone covers you with when falling asleep on the sofa. After all, who wouldn’t feel special being surrounded by beauty, softness and comfort? The secret lies in creating an interior that charms all five senses and makes you feel good. 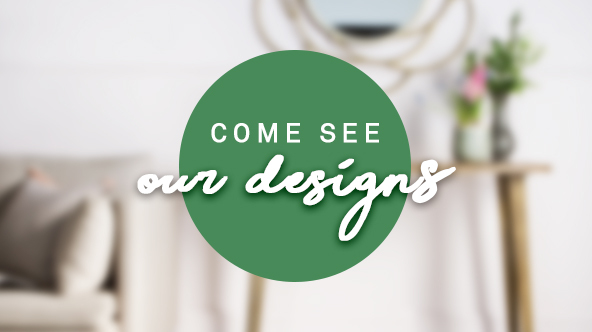 Think sweeping curves, soft materials and delicate textures to achieve a harmonious, romantic style that will make you look at your interior as a treat to the eye and the soul. 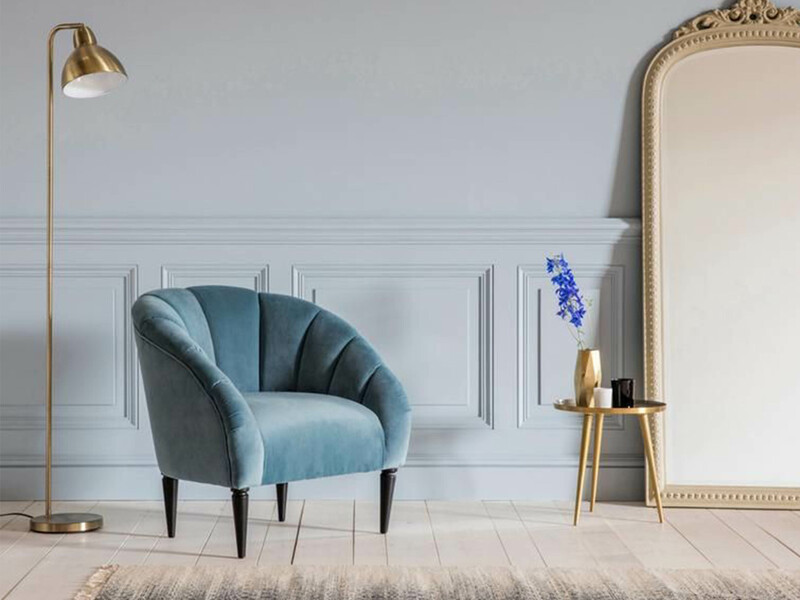 Rounded designs, like our romantic Rose armchair, are a treat to the eye and create a soothing interior. Look for furniture with slightly curved shapes on armchairs, sofas and pouffes to soften up the atmosphere of a room. The Rose armchair, shown in a delicate High Tea velvet upholstery, and the Rochelle side table. Pair them with statement upholstery in gorgeous hues so the space looks both stylish and inviting. We love blues, reds, subtle yellows and dark greens in velvet, wool and linen upholsteries, but don’t forget it’s all about creating an interior that works for you. Just make sure you choose slightly muted hues of a vibrant colour for that perfect blend of spice and softness. 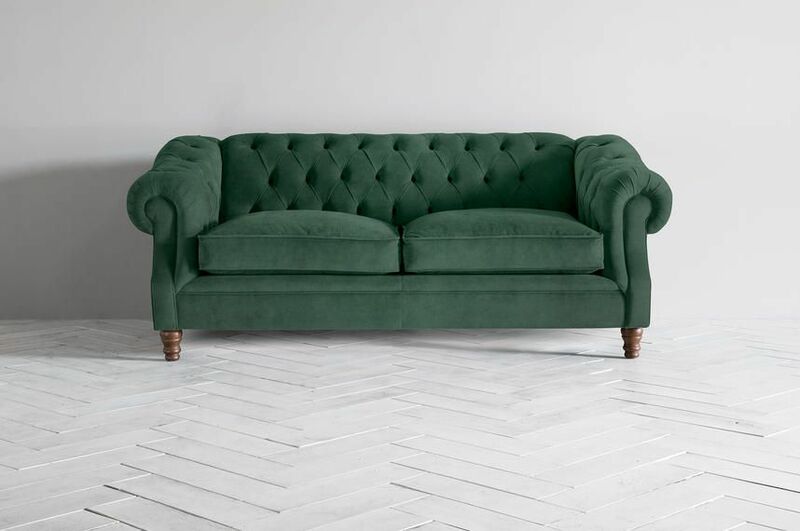 The grand Algernon three-seater sofa, shown in a rich Trident Entourage velvet upholstery. Invest in designs that are loaded with tactile appeal, such as textured soft furnishings. These will make you feel good and cosy as soon as you step into the room. Delicate textures, intricate details and contrasting fabrics are simply perfect for this purpose – think embroidered cushions, silky throws and rich textiles to create a layered décor that’s easy to update depending on how you feel. The Delia throw, the Beehive cushion and the Jasper cushion. 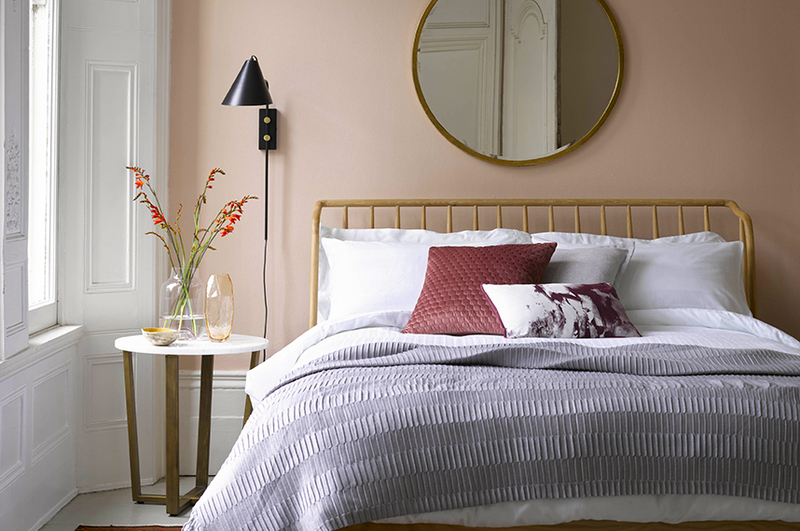 At the back, the Robin bed, the Chloe side table and the Newport mirror. Last but not least, do not forget the potential of accents to pull a unique decor together. 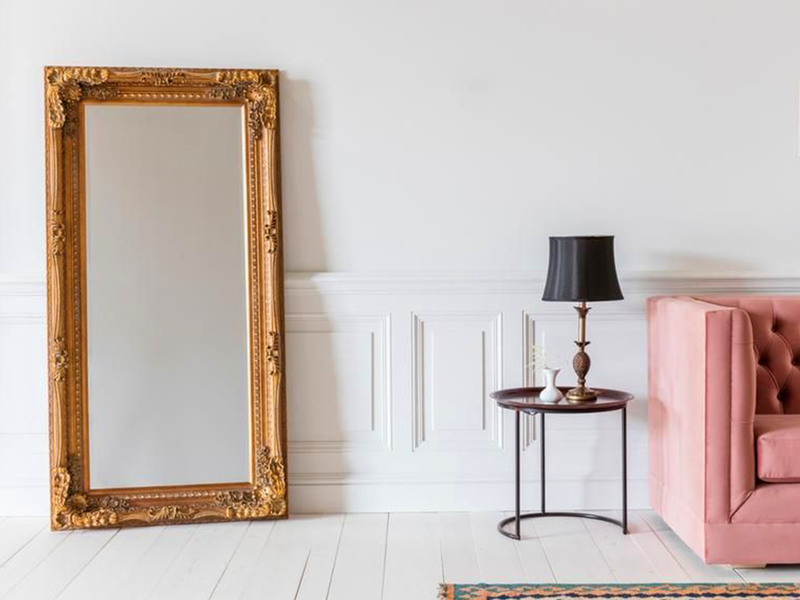 Mirrors with carved frames, sculptural lamp bases and glamorous ornaments in gold, brass or copper hues will inject a dose of romantic style into your living space while putting the finishing touch on your decor. The Elizabeth mirror in Gold, the Carmen table lamp and the James two-seater sofa, shown in a playful Peony Pink linen upholstery.